It’s been quite an adventurous few months for Mr. Peanut. First, he got a makeover that left him with a gray flannel vest and a shell tanner than Snooki. Shortly after that, he made the acquaintance of Benson, a legume who is now his sidekick. With all those changes in his life, it’s only fitting that he upgrade his ride. Underneath that dry, wrinkled shell, the humble peanut is quite helpful to farmers. Like nearly all legumes, the roots of the peanut plant contain bacteria that contribute to nitrogen fixation — the process by which atmospheric nitrogen is converted to ammonia, fertilizing the soil. The whole thing is one part George Barris, two parts George Washington Carver, and will join the Oscar-Meyer Wienermobile and the Red Bull Mini in the annals of vehicular marketing. If the new Planters commercials are any indication, we can only imagine that Benson will be riding shotgun. So, is Mr. Peanut nuts about his new ride? 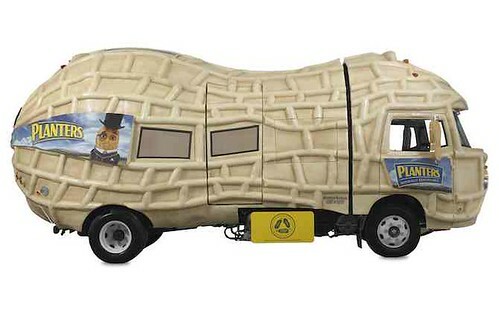 We may never know, as the voice that sounds strangely like Robert Downey Jr. fell silent on this one: A spokeswoman for Planters told us that Mr. Peanut has no comment on the Nutmobile. 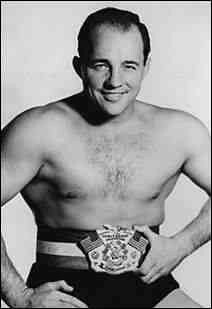 As we roast ’em and salt ’em, we might wish a hearty Happy Birthday to Verne Gagne; he was born on this date in 1926. Verne was a champion athlete from an early age: he won NCAA titles while wrestling for the University of Minnesota. Then.in 1947, he was drafted by the Chicago Bears (though he never played for the team). But it was as a professional wrestler and promoter that Gagne made his name. He is recorded as a 10-time AWA World Heavyweight Champion, holds the record for the most combined days as a world champion, lags only Bruno Sammartino and Lou Thesz for the longest single world title reign. He is one of six men inducted into each of the WWE Hall of Fame, the WCW Hall of Fame, the Professional Wrestling Hall of Fame and the Wrestling Observer Newsletter Hall of Fame. Through that same period– 1949 to 1981– Gagne became the owner/promoter of the American Wrestling Association (AWA), based in Minneapolis, the predominant professional wrestling operation throughout the Midwest and Manitoba. Gagne was much beloved in Minnesota… which did after all elect one of his spiritual successors, Jesse Ventura, governor.